Are you dissatisfied in your work? Do you envy those who enjoy what they do for a living? Are you experiencing any of the symptoms of an unsatisfactory work life, such as depression or fatigue or simply a lack of enthusiasm? Did you know that life wasn't meant to be this way? And that you too can do what you love for a living, and make a living wage...and better...for your time and expertise? 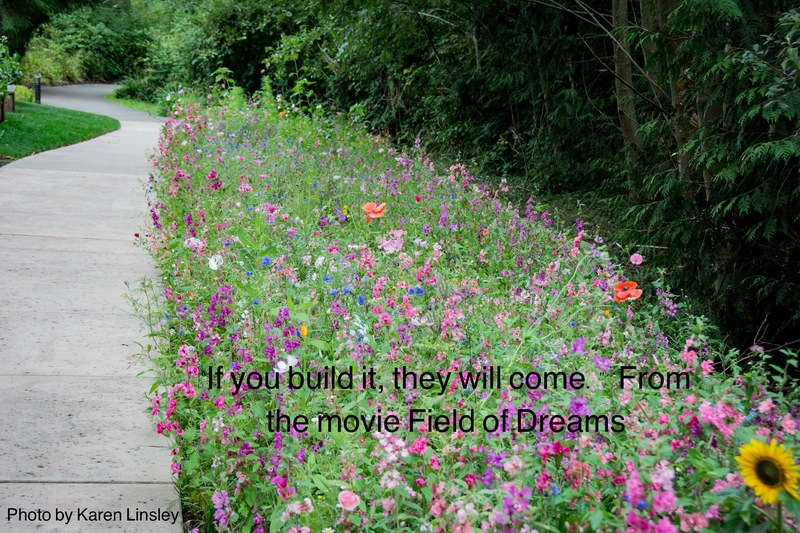 Yes, if you build it, they will come. But the foundation must be strong, and that's what this is all about. Helping you to build a strong foundation so you can move with confidence into doing what you love for a living. What would it be worth to you to be able to "quit your day job" and make more money doing what you've always wanted to do? In terms of time and money? What would it mean to you to be able to say, in two to three month's time, that you now have a strong foundation built to withstand all the ups and downs of self employment, a foundation designed to support you for the long haul? Six coaching sessions designed to lay the foundation for your success. This system is designed to work on two levels: inner and outer. The inner is the foundation for your success. Most of us are taught that we work from the outside in. If we get that job, or that relationship, or that new car, we will be happy. Perhaps. But the happiness is fleeting, it doesn't last. And so we go for the next outside fix, and the next. Pretty soon we've set up a life that is unsatisfactory because we either get what we want, and then find out that wasn't what we really wanted, or....we don't get what we want. This is no way to live. The truth is that a successful life works from the inside out. It's called the Law of Attraction and it is a very powerful law. I will show you how to activate this Law in your six foundation sessions. And I will also introduce you to the inner assets you already have, and that are necessary to continued success in life. The outer is about practical things: things like creating a business plan, coming up with a name for your business, getting your strategy in place. The best part is we can schedule this according to YOUR schedule and needs. We can do two calls a week and finish this project inside of two months. Or we can do the inner six calls first then back them up with the outer six, and finish in 12 weeks. You could be STARTING YOUR OWN BUSINESS IN TWO TO THREE MONTHS! Or, if you've already started a business but it is stalled, chances are you haven't laid a strong enough foundation. What will it cost you? The value for the 12 sessions is, quite frankly, priceless. You will get this kind of coaching and information, in this combination, no where else. I decided a long time ago that I wanted to be a photographer. Back then, no one did photography for a living. I built that business into a successful 6-figure business during a time when I was repeatedly discouraged from doing so. You can too. The cost for this priceless knowledge is $900. But....if you pay for the entire package in full ahead of time, the cost is $780. If this seems like a lot of money, I encourage you to ask yourself: how much is your peace of mind worth? What would it be worth to you to have the strong foundation to begin what you have always wanted to begin, and to build on that? What is is worth to you to be able to say, "I'm a successful entrepreneur?" Your commitment of $995 and six-12 weeks of your time. That's all it takes. If you do the work, I guarantee great results for you. Sign up now and you will be ON YOUR WAY TO SUCCESS!